Conservatives love starting wars, but they have never cared about supporting the troops – all the way back to turning down Gen. George Washington’s request for food and blankets for his winter encampment at Valley Forge. Most recently, Republicans came under attack from veterans groups this March for killing a bill that would have expanded federal healthcare and education programs for veterans. Never one to sit on the sidelines, Republican Sen. Lindsey Graham (R-SC) is jumping in with both feet this week, saying military retirees will eventually have to pay more for their health care. Graham, who is a member of the Senate Armed Services Committee, told an audience at the Atlantic Council in Washington, D.C., that the fee structure under the military health care program known as Tricare hasn’t changed with any significance in two decades. Troop advocates point out, wars led by the U.S. in Iraq and Afghanistan have resulted in inflated defense spending and that personnel costs as a percentage of the defense budget remained flat at about a third of the spending plan. The proposed fiscal 2016 budget, proposed by the Defense Department, consolidates the three Tricare options into a single plan with slightly higher premiums and deductibles for military families and reservists. The plan also increases pharmacy co-pays as well as annual enrollment fees for Medicare-eligible retirees in Tricare for Life. Legislators on Capitol Hill are debating the bill. Many lawmakers agree that it’s time to reform the military retirement system with a plan for troops much like 401k. They’ve been hesitant to do the same to the healthcare benefit for military families and retirees. Earlier this year, the independent Military Compensation and Retirement Modernization Commission proposed replacing the existing Tricare program with a choice of commercial health insurance options, but the changes wouldn’t affect the Tricare for Life program for elderly retirees.The new changes, along with other recommendations, are estimated to save the government $12 billion annually by 2040. Sen. Graham heads the Senate Armed Services Committee’s Personnel Subcommittee, which supported legislation that would offer all troops a 401(k)-like Thrift Savings Plan by 2017 with matching contributions of up to 5 percent and full vesting after two years. The plan was designed for the more than eight in ten troops who leave before the 20-year mark and who don’t receive any retirement earnings. Under the current system, most officers who serve twenty years receive annual retirement pay equal to half of their average basic pay over their last three years of service. The new plan would reduce that figure from 50 percent to 40 percent. 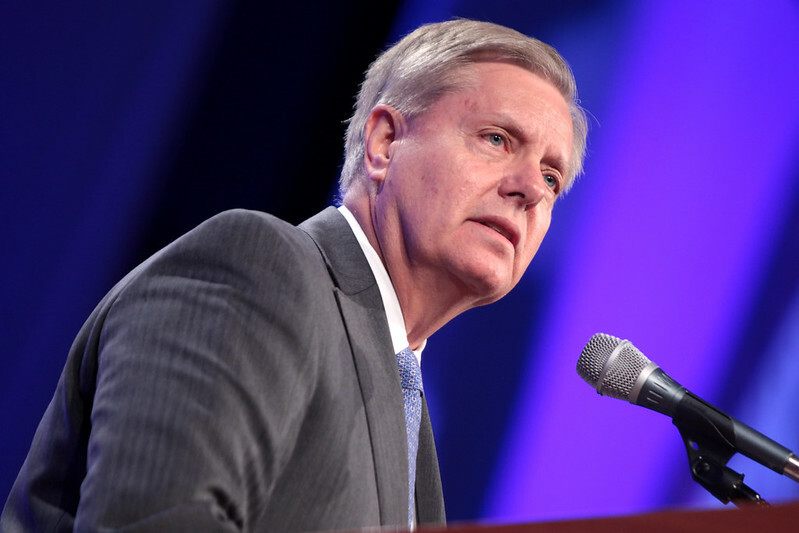 Graham defended the proposed changes at Wednesday’s event. “I have been the author of reforms that have been somewhat unpopular but I think are necessary. All of us are living longer, so you can’t retire after 20 years and get 50 percent of your pay for the rest of your life because that puts pressure on the budget.